I <3 Turnips! I never really eat them but when I do, I'm always surprised at how much I enjoy them. They are super easy to roast up in the oven and are a great alternative to potatoes, and have a touch more flavor and bite than potatoes. 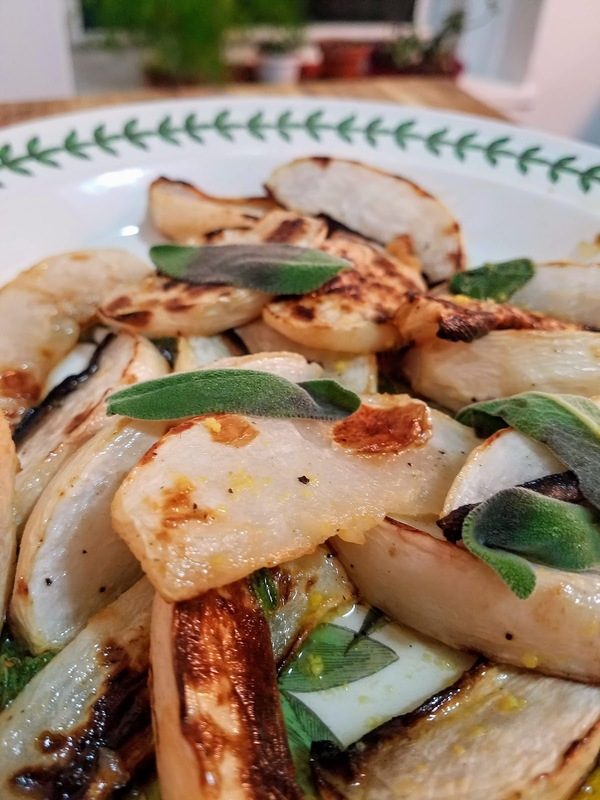 In this recipe, the turnip wedges work really well flavored by fresh sage leaves and creamy browned butter, and are awakened by a final touch of lemon juice just before serving. 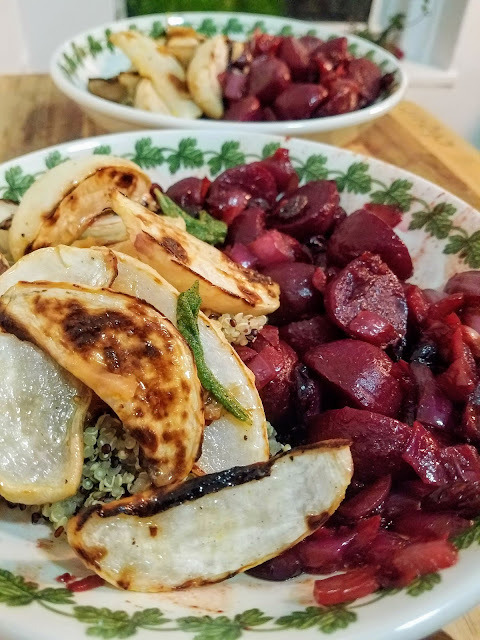 As pictured in the above photo, I served the roasted turnips along side a cranberry and beet chutney and some tri-color quinoa for a healthy and dynamic dish. They are a simple and delightful addition to any meal. Preheat oven to 400. Prepare a baking sheet with cooking spray. Add turnip wedges and top with salt and pepper. Roast for 45 minutes, tossing halfway through. 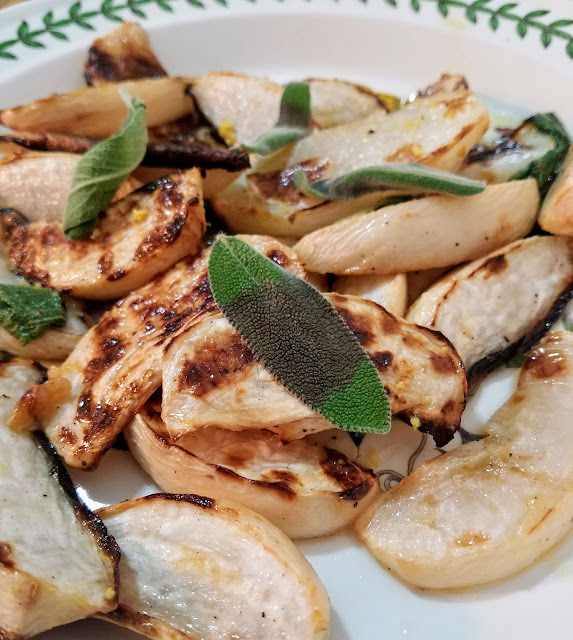 In the last 10 minutes of roasting, add vegan butter and 6 sage leaves to a large skillet allow to cook over medium heat until it starts to bubble and brown. 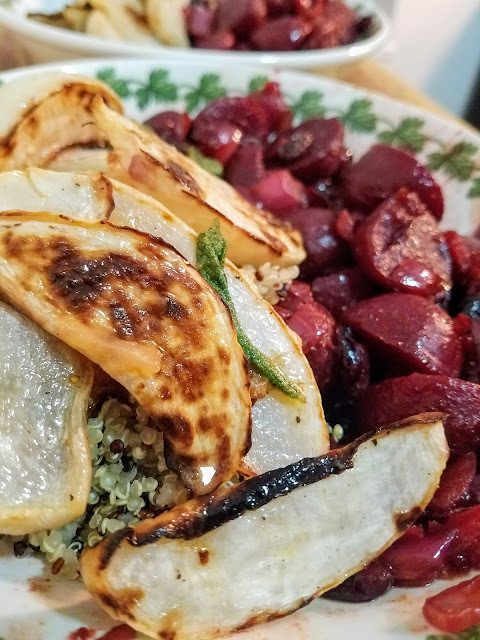 Add the finished turnip wedges to the skillet and toss until well coated. Remove from heat and drizzle with lemon zest and juice. 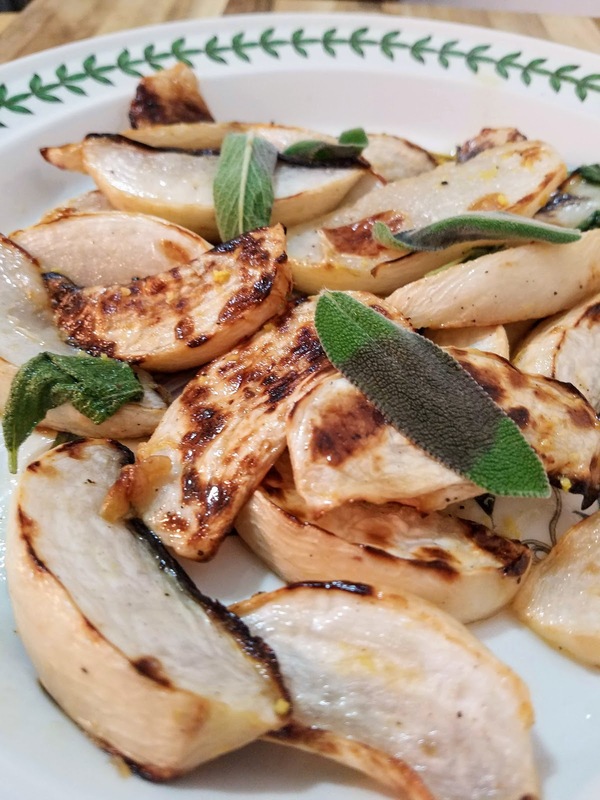 Top with a few more sage leaves and serve immediately.